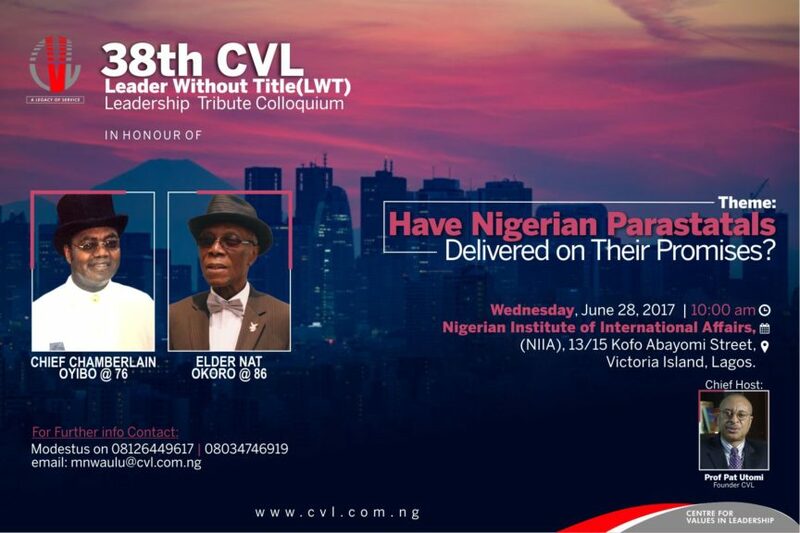 The Centre for Values in Leadership is pleased to invite you to attend the 38th CVL Leader Without Title Leadership Tribute Colloquium in honour of Elder Nat Okoro @ 86 and Chief Chamberlain Oyibo @ 76. Both honourees contributed to the development of Nigeria by showing exemplary leadership in two different parastatals they served. Elder Nat Okoro @ 86 was the first Managing Director of the Nigerian Railway Corporation while Chief Chamberlain Oyibo @ 76 was a former Group Managing Director of NNPC. Venue: Nigerian Institute of International Affairs, (NIIA), 13/15 Kofo Abayomi Street, Victoria Island, Lagos. 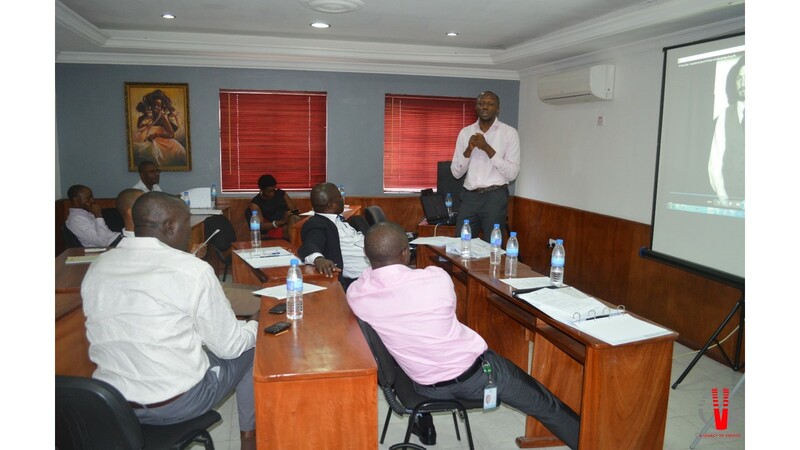 Theme: Have Nigerian Parastatals Delivered on Their Promises? Please confirm your attendance to: Modestus on 08034746919, 08126449617, mnwaulu@cvl.com.ng; Uchenna 08035832096,uachunine@cvl.com.ng.